It’s no accident that it’s easier to over consume processed packaged foods than whole unprocessed or minimally processed ones. The fact that they are nutritionally void is part of the reason (because your body is still craving nutrients) but there’s more to it. A food craving is an overwhelming urge to consume a particular food. Cravings aren’t inherently bad, as it depends on what one craves. Believe or not, I often crave lettuce and raw vegetables. They can become problematic when unhealthy foods are desired to the point of excessive consumption and when those cravings turn into addictions. A food addiction is an overwhelmingly strong biological drive to eat said food.. Fat, sugar and salt are the main ingredients added to foods to make them tastier. Foods containing two or all three of these ingredients create more cravings and in some cases addictions than foods not containing two or all three. Sugar and salt have pleasurable flavors where as the texture of fat is what makes it pleasing. Studies have shown that the most addictive combination is fat and sugar. It’s worth noting that in nature there are no foods that are naturally high in both fat and sugar. If you think of one, please let me know. To make it worse, food manufacturers literally have this down to a science. They have extensively researched which combinations of fat, sugar and salt in foods chemically make them harder to resist. That’s why it’s so difficult to eat just one potato chip, cookie, or piece of chocolate. Try eating peanut butter which is made of just peanuts. Then try a brand that has either salt added or sugar added or both added. Then try a brand that has both added. Big difference! Think of other packaged foods and all the additional artificial flavor enhancers that are commonplace. Some folks are doomed if they have just one taste. Food manufactures want to maximize sales and profits so they will do whatever they can to make sure you buy and eat more of their products. The packaging of the product in the photo below is screaming ‘HEALTHY!’ Non-GMO, zero trans fat, smart, natural, vegan, gf. Even the ingredient list contains all normal items and no unpronounceable additives. Peanuts are naturally high in fat. With cane syrup, salt, molasses and oils added, it is now a potentially addictive food that will undoubtedly be craved by many. Limit packaged foods that have these three ingredients added instead of naturally occurring. 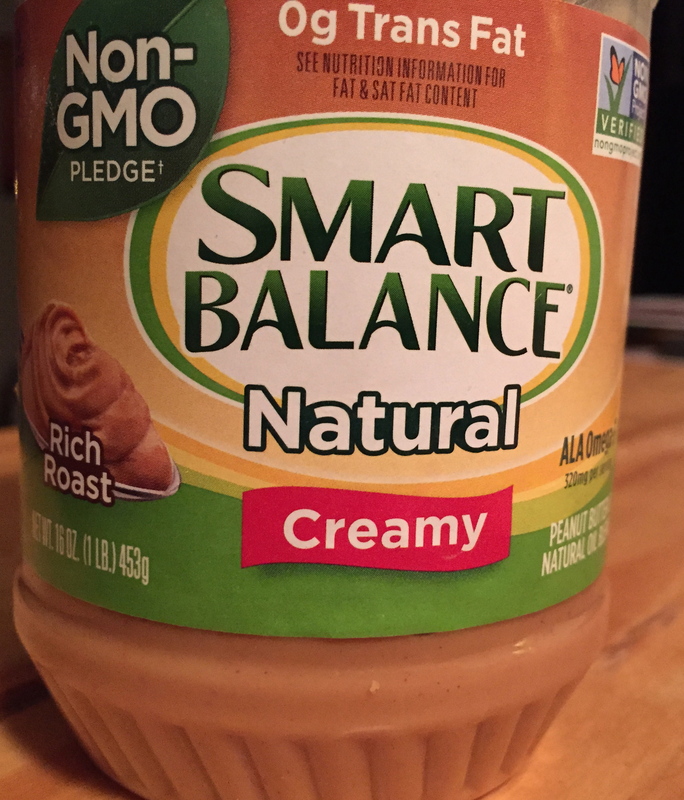 Even if the package is labeled ‘natural, ‘smart’, or some other vague adjective associated with health, it could still have you eating way more than you planned or need. Reset your taste buds. If you stop eating these foods for a few weeks or months and replace them with homemade versions your taste buds will adjust and if you try the overdone versions again they will taste sickenly sweet, salty or have an oily texture. Even when baking healthy vegan recipes at home I’m always alarmed at how much sugar recipes call for. I always use half the amount and still find the end result satisfyingly sweet. Learn to enjoy nature’s flavors and textures in fruits, vegetables, nuts, seeds and grain. Choose wisely if you must eat packaged food for convenience or when traveling. Try to find products that are not high in both sugar and fat. 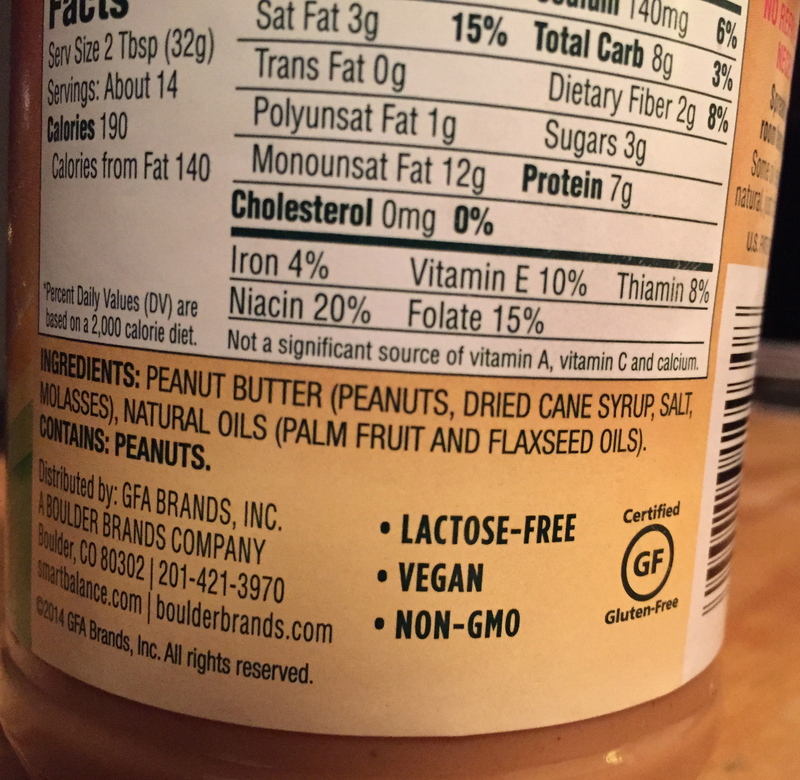 Added fat and/or sugar( in all it’s forms and names) should not be in the first three ingredients listed. Having foods high in fat, sugar and salt or two of the three occasionally is not detrimental especially if you do not overeat them. You do have to know yourself. I know what foods have the power to make me over consume them so i don’t keep them at home and if I eat them outside the house I don’t take any home.